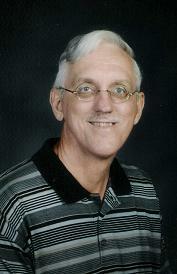 Karl Priest is a retired public school mathematics teacher from West Virginia. He has a B.S. in education and an M.A. in school administration and was an educator (K-9—including 4 years as a principal) for over 30 years. For the last five years of his full-time career, with the full knowledge of State, County, and ACLU officials, he demonstrated to his students that mathematics proves beyond the shadow of doubt that evolutionism is nonsense. The students saw that the evidence clearly shows that every item associated with humans, animals and plants are Intelligent Designs and Intelligent Design is science because it is observable by billions of people trillions of times, always has been, and always will be. He always let them figure it out for themselves and he allowed them to believe what they chose, but at least they were exposed to the scientific facts that extremists want to censor from the minds of government school students. After one lesson a student from an atheist family said, "Evolution is silly." Upon retirement, as a substitute teacher, Karl had contact with more public school students than ever and took advantage of every opportunity to provide them with the facts described above. In 1995, Karl began the formation of the Kanawha Creation Science Group in West Virginia. Karl has engaged in many confrontations with evolutionists. One evolutionist college professor even tried to have Karl arrested by the West Virginia State Police on a bogus charge of fraud. That story, and details of the other engagements, can be found in Karl’s testimony at the "Insects-Incredible and Inspirational" link below. Karl currently is the West Virginia State Coordinator for Exodus Mandate which encourages the rescue of children from government schools to the safety of home or truly Christian schools. Karl says that evolutionists are bluffing when they say their beliefs are scientific. To back this claim Karl cites the list of evolutionists who refuse the debate challenge from Dr. Joseph Mastropaolo. See the list at Life Science Prize. The book,"Protester Voices—The 1974 Textbook Tea Party" by Karl Priest is available on Amazon or from the book's webage. This book explains why Christians should stop trying to reform public schools and RESCUE THEIR CHILDREN. This page was last modified on 20 January 2011, at 12:20.